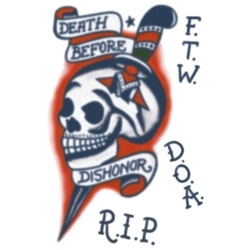 Death Before Dishonor Tattoo. Vintage 1950's. Safe, non-toxic temporary tattoo.